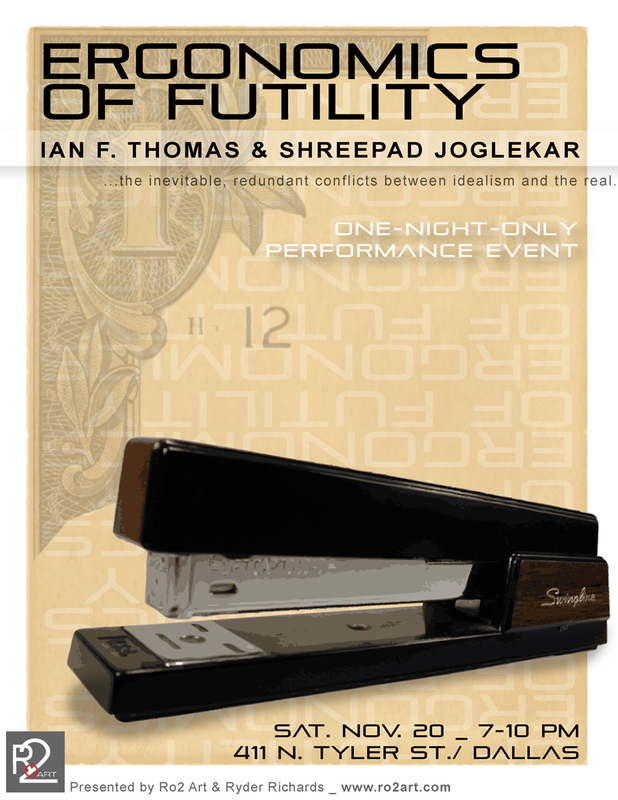 An Installation/ Performance by Sheepad Joglekar and Ian F. Thomas. Sheepad and Ian’s work explores the inefficiencies found in complacency, inflation, futility and politics. The Ergonomics of Futility will utilize and demonstrate, through performance and installation, the inevitable, redundant conflicts between idealism and the real. It is expected to present complex critiques of socio-economic hierarchies that are entangled in everyday life. Employing diverse methods, this one-night-only happening will shine a light on issues that impact all of us. Ian and Shreepad will come to Dallas from Pennsylvania and Victoria, TX (respectively) on Wed the 17th. Ian will do a workshop at Richland College on Thurs the 18th for the Clay Club. Between their arrival and show time they will be furiously putting together “Ergonomics and Futility.”The One-Night-Only performance will be on the Saturday evening, Nov 20th. 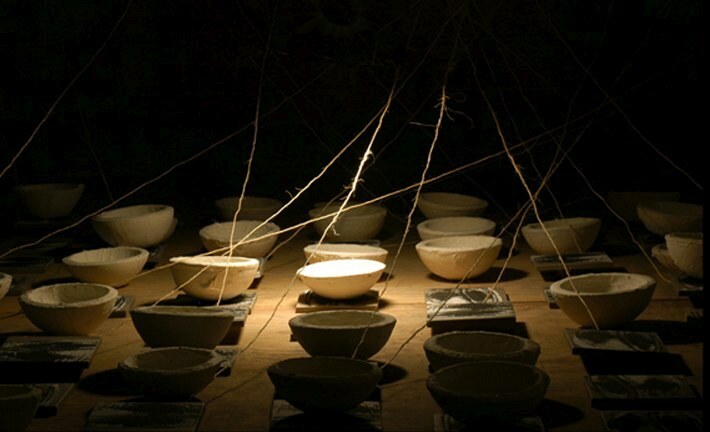 Ian F Thomas is formally trained with an MFA in Ceramics from Texas Tech University and currently teaches for Slippery Rock University in Pennsylvania. Shreepad Joglekar has an MFA in Photography from Texas Tech University and is an instructor for The Victoria College in Victoria, TX. Meeting in school they developed their original collaborations utilizing hybrid methodologies including sculpture, drawing and performance to realize their ideas. In Dallas the duo will create a performance based installation focused on economic futility… mostly contradictions involving work and money. Of the diverse methods mentioned, the artist will most likely employ students, volunteers, or day laborers to create then destroy objects and money conflicting the time/cost paradigm. The event should include several local participants who will repeatedly perform futile actions related to commerce and manual labor. This entry was posted in Ryder's Events and tagged dallas, ian, ian thomas, shreepad by ryderr. Bookmark the permalink.